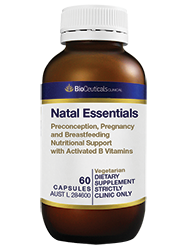 Nutritional support during preconception, pregnancy and lactation with activated B vitamins, iodine, choline, and vitamins D3 and K2. 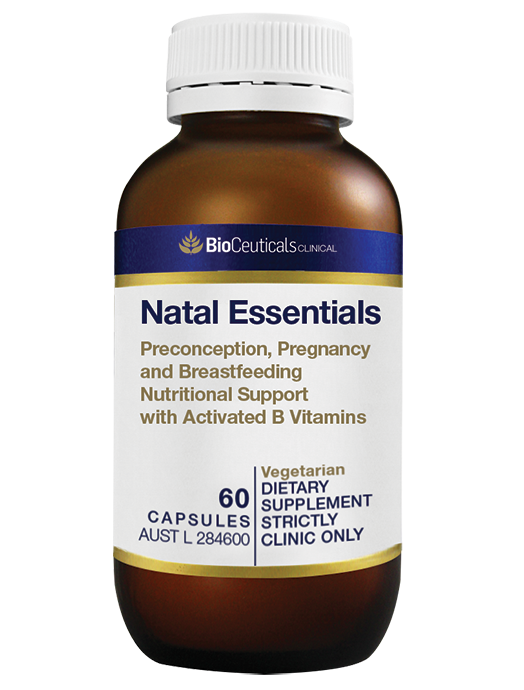 Natal Essentials provides a broad range of nutrients to assist women in obtaining many of the increased nutritional requirements during preconception, pregnancy and breastfeeding. An array of bioavailable and activated B vitamins are included: riboflavin sodium phosphate, pyridoxal-5-phosphate (P5P), levomefolic acid (5-MTHF), mecobalamin, nicotinic acid (a bioavailable form of vitamin B3) as well as iodine, choline, CoQ10, and vitamins D3 and K2.